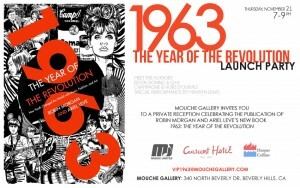 July 19th, Mouche Gallery of Beverly Hills, is bringing together Art, Fashion, and Music, with an exclusive look at Arno Elias’ “Escape with Me” collection, a Fashion Show by Maggie Coulombe, and a special guest appearance by the legendary Stephen Verona. 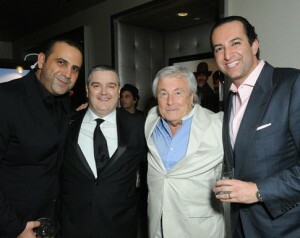 With Proceeds From Sales To Benefit Music Unites. The “Celebration of Art + Music” was the perfect intimate vibe for Miguel who Adorned a group of intimate friends with a special installation by Cheryl Fox of never seen before performing art images with the perfect blend of art ideal for MIGUEL. The images featured Miguel, Madonna, Diddy, Usher, Jay Z, Beyonce, Mary J. Blige, Kanye West and many more. Keiko Noah Maestro at Mouche Gallery, invites you to get sucked into the vortex of the award winning viral video sensation “I Fink U Freeky” world of Roger Ballen and Die Antwoord at Mouche Gallery. Installation opens on April 26, 2013 during the Paris Photo LA 2013. 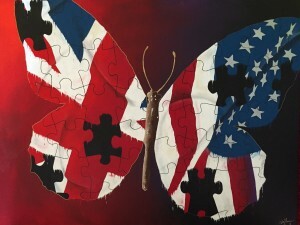 The primitive, provocative paintings and drawings at the core of the composition of these exquisite photographs pose center stage and take on a life of their own at this installation at Mouche Gallery. 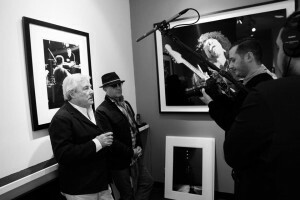 Keiko Noah, Maestro at Mouche Gallery, Beverly Hills, invites you to attend Terry O’Neill’s exhibition celebrating 50 years of the worlds most iconic photographs and “The Opus” his new book. 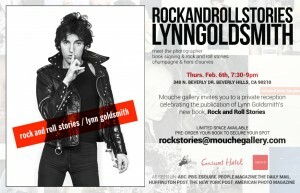 On February 6th, famed rock and roll photographer Lynn Goldsmith will be at Mouche Gallery promoting the release of her new book, Rock and Roll Stories. 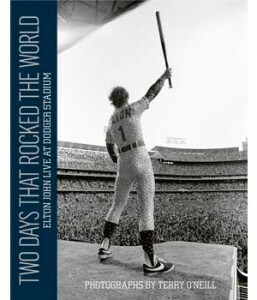 Music and photography lovers will be in for a treat as Lynn Goldsmith exhibits her limited edition prints, shares her tales from the stars and signs copies of her new book. 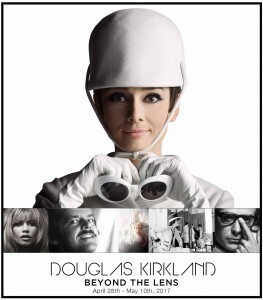 Keiko Noah, Maestro at Mouche Gallery, Beverly Hills, presents “Beyond the Lens” – by Douglas Kirkland.